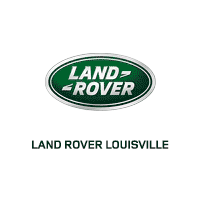 Land Rover Louisville in Louisville, KY welcomes you to our website. As a premier Land Rover dealership in the Louisville area, we are thrilled with the opportunity to serve any and all of your Land Rover needs. Our staff is committed to helping you get into that luxurious Land Rover you’ve been dreaming of today. Be sure to browse our online inventory of new Land Rover SUVs and used cars in Louisville. Can’t find exactly what you’re looking for? Simply fill out our Vehicle Finder Service form and we’ll find your ideal new or used Land Rover in Louisville for you. Our expert financing staff is also standing by to assist you with finding the perfect Land Rover auto loan or lease that fits your lifestyle and budget. Our Louisville Land Rover dealership is more than just used and new luxury SUVs. Our fully trained Land Rover auto repair technicians will keep your Land Rover running like new. If you’re in need of a Land Rover auto part in Louisville simply fill out our parts order form or call our Land Rover car parts experts with any questions you may have. Land Rover Louisville in Louisville is located at 4700 Bowling Blvd; give us a call or come on down for a test drive today. You can find step-by-step directions on our site or call us at (502) 378-3653. We look forward to serving all of your Land Rover needs!